Luc Lemay: This musical language was born from the will of not wanting to use “typical” Death Metal ingredients in our guitar and bass playing. With the “OBSCURA” line-up, we intentionally sat down before writing a single note for this record and discussed about what we wanted and what we did not want for this record. So we told to each other: no fast picking riffs (like we have on “EROSION”), no more “Slayer beat”, we would admit only blast beats or mid tempo to slow tempo. So, from there we had to create a new dark, heavy, compositional language out of our comfort zone. This way it forced us to explore and be more rigorous. Then, one song after the other we slowly developed something that we would have never found if we would have allowed ourselves to stay in our normal, traditional Death Metal writing. WG: Having said that, when listening back to your previous release, how do such classic albums like Considered Dead and The Erosion of Sanity sit with you? Do you feel they are under developed in light of what this band has become, or perfect as they stand as building blocks on the way to greater things? LL: I think they are good records for the time they were written. We always wrote the best music we could with the experience we had at the time, so I don’t think they are under developed. 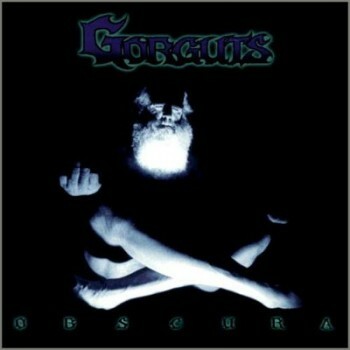 But, for me, “OBSCURA” would be the record that defined our sound. WW: Colored Sands strikes me as a very dark and at times sonically scary record with tentacle-like guitar work and a boiling atmosphere lurking within the structures. What was the impetus behind such a stirring approach? LL: Writing dark music was surely my intention when I wrote this record. Even in classical music…I like very dark, epic sounding compositions. I wanted the music to have a story telling mood, I wanted the sound to be descriptive. LL: The concept canvas for the record is Tibet. One day my attention got caught by the Mandala drawing ritual. I got very much fascinated by the look, meaning and the process of drawing Mandalas. At first I wanted to do the whole record about each step of drawing these Mandalas….but after reading on this topic I found out that it was too complex and I would need to educate myself for a decade before I knew what I was talking about. And also, I didn’t want to do a “documentary” record. The sense of “story telling” was missing. So I decided to change my angle and tell a story about the Tibetan culture. The album is divided in 2 parts. The first one deals with the beauty, the philosophy and culture of these people. Then you have the orchestral instrumental piece which illustrates the Chinese invasion of 1950, then after that everything changed for the worst for those people. “AN OCEAN OF WISDOM” tells the story about how they found the 14th Dalai Lama. The rituals, the sacred lake (lake of vision) Lhamo-Latso, and the epic quest for the reincarnation of the Dalai-Lama’s soul. But above all, “ocean of wisdom” means : Dalai Lama. “FORGOTTEN ARROWS” is about the rules of causality. Everything that happens in life happens for a reason. I got inspired by a text of : Matthieu Ricard, who is the French interpret of the Dalai Lama. He wrote that all the actions that we do in life are like arrows that we thrown in the sky one day, then we forget about them, and suddenly, one day, they strike back on us…the echoes of our actions. “ENEMIES OF COMPASSION” Is about the Chinese invading Tibet and taking control by persecuting Tibetan people. “EMBER’S VOICE” deals with the horror of Tibetan people immolating themselves in public to protest against the Chinese occupation. “ABSCONDERS” tells the story of a murder captured on tape by mountain climbers who witness Chinese border guards deliberately shooting Tibetan fugitive trying to escape to Nepal. “REDUCED TO SILENCE” is questioning the “non-violence” philosophy….the silence of the international community witnessing the genocide of the Tibetan culture and people. Will the “non-violent” way of life bring them to their own end? WG: Obscura marked a technical and stylistic shift into more complex and groundbreaking musical ideas. There was a freedom and even a “playful” feeling on that album showing a band eager to embrace infinite possibilities. Did you achieve what you set out to do on that album? What was the reaction of the fans to Obscura’s more advanced approach? LL: Well, it was and it’s still a “like it” or “hate it” album. When it came out a lot of people thought it was very refreshing to have a record like this in the Death Metal scene and some other people thought it was total garbage. I think time gave justice to this record…I think it aged very well and I don’t think it sounds old. It opened many doors for the extreme music sound. WG: Could you describe the mood within the band at this time and how the album was received by the masses? Was this in any sort of a way an influence on where you would continue to take the direction of Gorguts? LL: We never change our way of thinking to please the masses. As artists, we always wrote the music we wanted and I’m not going to go back to write music like my first 2 records just to please people who don’t like “OBSCURA”. 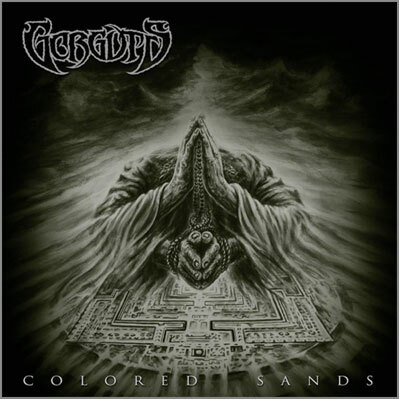 Even “COLORED SANDS” is different than “OBSCURA” so, I don’t expect my new record to sound like “COLORED SANDS” either. I need to move forward all the time. I don’t like sticking with formulas. WG: Would you agree that there is a similar open minded spirit in the songwriting that has surfaced again for Colored Sands? The album just has a feeling of you being eager to share a re-awakened and exciting energy with the world. LL: I think this music is very open minded. I think everything is possible from there. I don’t have the feeling that I’m trapped in a style. I have the feeling that anything can be incorporated to our sound and if it’s brought with an intention of making it “heavy” it’s always going to work. WG: After From Wisdom to Hate, you stopped making music under the Gorguts moniker shortly after the untimely death of your friend Steve MacDonald. It’s such a hard thing to accept and move on from. Did time away from the band help you with the grieving process? I know you joined Negativa for a while… did work in a new band seem foreign to you, or did this also help you through the tough times? LL: After Steve’s death, I just wanted to do different things. I was happy with everything the band had done at the time and I never felt I had some unfinished business. I decided to move from music to work more with my hands. I started to do woodworking. Then by joining NEGATIVA, the flame of doing music with other has lit in me again. LL: “COLORED SANDS” took about 2 years to write the music and it took about 1 and a half years to write the lyrics. There was a big break because I had to go through a lot a legal and business issues. But before I joined NEGATIVA I stopped playing for maybe 3 or 4 years. 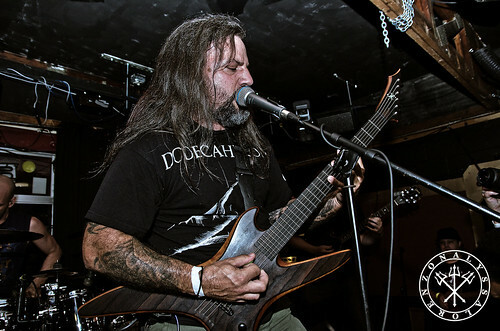 WG: Tell us about the new members of Gorguts. What sort of fuel has the new line-up brought to your song writing process? Is there a strong commitment from these guys, or will other band commitments eventually complicate their contribution of talent and time? LL: The new members are amazing! We get along great! They are very talented and they each brought something very creative to the band’s sound. Schedule wise, it’s a matter of good communication. We need to share far ahead enough to book tours and practice. So far so good! LL: John is great!!!!! When I heard his performance on DIMMAK “Knifes Of Ice” that made me choose him to be part of the new GORGUTS. WG: Time is unending and moves quickly along, but in the music world, a lot can happen in a short period of time. After 7 years of being away from Gorguts, have you noticed a change within the death metal world? Maybe a more noticeable return to popularity now that black metal seems to have released its grip on the imagination of extreme metal fans? LL: It’s totally coming back. I feel like there’s a big buzz around extreme music in general. This is great!!!!!! WG: Any changes as well in the business side? Are labels learning how to adapt and work with the crisis instituted by the internet and crashing sales that you have noticed? 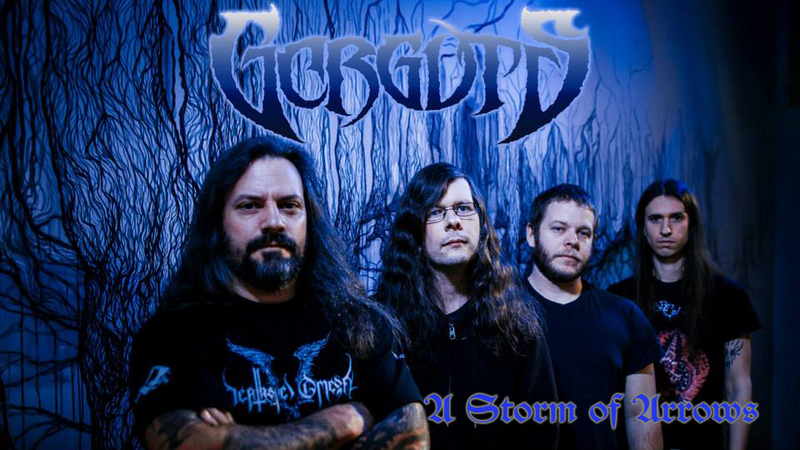 How has the modern era affected Gorguts if at all? LL: I don’t feel like it affected GORGUTS…I don’t really pay attention to that. I focus my energy on writing and planning for touring. WG: Correct me if I’m wrong, but I have heard that you have been involved over the years with classical music as a composer. If so, how did this come about and is it an avenue of music you still pursue? LL: Yes, I’m involved in writing classical music. I’m in the process of setting up a little home studio to work on newer compositions. I started to write classical music around 1994. I stared violin lesson in 1993 then switched to viola 1994. Being in contact with music partitions made me want to understand how so many stacked staves could work all together at once. So, I wrote a short piece for string quartet in 94’ then when we moved the band to Montréal I got admitted to a private college to study viola from 95 – 96…then I auditioned for the composition class at music conservatory in spring of 96’ and I studied composition, orchestration, harmony, analysis, counterpoint and choir singing from 96’ to 2000’. Then I decided to leave, without finishing my diploma. I had to study electro acoustic composition then and I was not interested in that medium…so I dropped out. Those years were fantastic! It was amazing to share with all these Masters in each of the disciplines. Also, what I liked about the conservatory was that some of the discipline had like 3 to 5 students per classes, so you get a much closer relationship with the teacher and you can ask way more questions than a normal class. Someday I would love to release a CD with orchestral and chamber music but it costs soooooo much money to hire musicians, that doesn’t make the projects easy. WG: What does death metal give you on a creative level that may be lacking in classical music if such a void does indeed exist? LL: I don’t write classical music cause I feel I’m missing something with Death Metal. I do it for the simple reason that I love it. I don’t think a void exists between the two forms of writing. The act of composition remains the same. Its how it’s put together with the final instrumentation that feels like a very different form of Art but it’s not to me. There are some modern classical composers like Carter and Varese that sounds way more modern than Metal music writers. WG: It has become a popular pattern for older and influential bands to get back together and release new music. A lot of times this is a horrible idea as a lot of artists forget what they were or how to get back into that youthful mindset of creating music with fire. What are your thoughts on this recent phenomenon? Do you see this nostalgia trip as a healthy thing for the metal market as a whole or should bands simply leave the past alone? LL: I think it’s all good as long as you have to something to say musically. Some bands will simply surf on a name while offering nothing new nor interesting to the fans. Nothing wrong with being away from the scene for many years…some will stay in the scene while writing the same record over and over again. Personally, I like to take more time between releases to make sure I have enough time to take a step back at think about what I would like to write. WG: Many thanks Luc for spending time with this interview and our readers. I have been a longstanding fan of your works since the early 90’s and find Colored Sands to be an inspiring force in the death metal genre. Be well and take this moment to offer your final statement. LL: Thank you very much for the interview! I could not be more grateful for the fans and the press response! Thanks to all and we’ll see you on tour!!!!! ~ by martyworm on October 30, 2013. This entry was posted on October 30, 2013 at 7:42 pm and is filed under ALL REVIEWS, INTERVIEWS.You can follow any responses to this entry through the RSS 2.0 feed.You can leave a response, or trackback from your own site. Next: Howl like a wolf and a witch will open the door… celebrating 30 years of Mercyful Fate’s Melissa.